Here is the latest news from Planet Crazy. 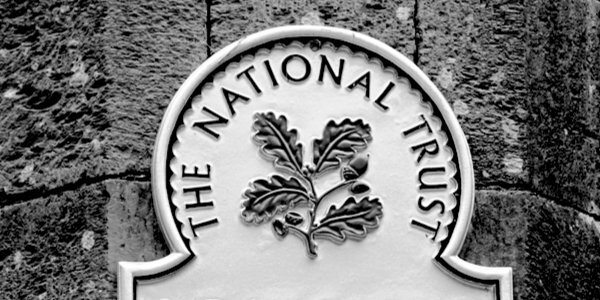 The National Trust, which runs Cragside, a grand Northumberland home, decided that as part of a celebration of the role of women it would be a great idea to cover up paintings and sculptures of men. This great erasure of men was part-funded by the taxpayer. My understanding is that it is still the case that men pay most of the tax in this country, so really they are being made to foot the bill for their own obliteration. ‘The trust received a £114,748 government grant from Victoria Atkins, minister for women, to promote its “women and industry programme” at Cragside and two other projects,’ says the Times. Of course it did. Cragside, the first house in the world to be lit by hydroelectricity, was built in the late 1800s near Rothbury by the industrial magnate Lord (William) Armstrong. The artists who designed the latest installation said they wanted to highlight the role of his wife, Margaret, other female members of the household and women workers in his factories. What a dishonest manipulation this shoddy excuse is. Are we really to believe that the wife and other female members of Lord Armstrong’s family as well as the women who toiled away in the factories would have approved of the covering up of paintings and sculptures of men? I doubt it. The symbolism in all of this is obvious, namely that there is a certain very poisonous form of feminism, or PC culture or Leftism or whatever you want to call it, that believes the only way you can lift women up is to tear men down, or in this case cover them up. I have even read that some female university students in physics feel ‘triggered’ and excluded by the fact that all the main laws of physics are named after men because they were, as we know, discovered by men. In addition to this we must not ask ourselves why it was men who made all the major scientific discoveries. The students will probably tell you it was due to women being oppressed. It wasn’t. So, there it is, menfolk. Do us all a favour and put a bag over your head. Just how this will help women is less clear.